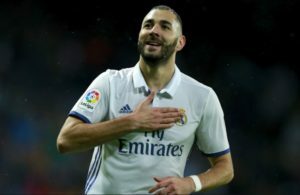 Home / Opinion / What does the Future hold for Karim Benzema? There are few clubs in world football that would consider the sale of an offensive talent of Karim Benzema’s rarity and stature a going concern. 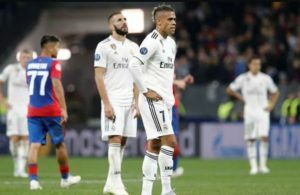 The French international has been consistently excellent in the white of Los Merengues since moving to the Bernabeu from Ligue 1 side, Olympique Lyonnais, in 2009 for a fee in the region of €35 million. Benzema has netted 72 times in 159 appearances for Real Madrid over four full seasons and has won every major trophy that the club have participated in during the tenure of his contract. Benzema has seen off rivals including an aging Raul, Ruud Van Nisteltrooy, Klaas Jan-Huntelaar, Gonzalo Higuain, and Alvaro Morata in order to make the starting centre forward berth his own under Ancelotti. Furthermore, Benzema has foiled well with whatever supporting players he has been paired with during his time at the Bernabeu. The Frenchman has demonstrated a considerable level of dynamism and adaptability in his forward game through the manner in which he has flourished in partnership with Mesut Ozil, Isco, and even Kaka as No. 10s in the past. And last season displayed a remarkable understanding and co-ordination with the trio of Ronaldo, Di Maria, and Bale behind him in attack. Indeed, the 2013-14 season can be arguably seen as Benzema’s finest in Spain. The Frenchman netted 27 goals en route to helping Madrid to seal the la decima and Copa del Rey double. He provided an assist for Angel Di Maria’s opener against Barcelona in the Copa Final in April and backed that contribution up a week later by scoring the only goal in Real’s 1-0 win at home against Bayern Munich in the Champions League Semi Final First Leg. These strikes demonstrated a growing consistency in Benzema’s ability to make an impact in the biggest games (something that he has been criticized before in the past) and the forward continued this form on international duty with France at the Brazil World Cup. Benzema netted three times in five matches for les Blues as France exited the World Cup at the Quarter Final stage at the hands of Germany. 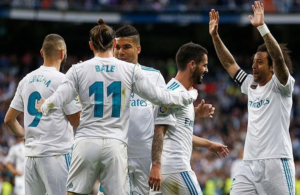 In spite of Benzema consistently impressing and, indeed, improving at Real, however, there seems to be an appetite on the part of Perez to off-load the Frenchman and bring in a replacement to lead the line. Falcao, of course, has long been a target for Real. 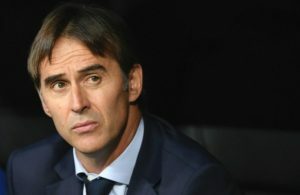 The Columbian has just returned from a lengthy injury that saw him miss the World Cup, and his year in Monaco means that tensions have cooled sufficiently among the Atletico fans to make the deal a possibility. The question must be asked, though; is Falcao an upgrade on Karim Benzema? I am unconvinced that this is the case; and if the justification for selling Benzema is to recoup losses on the James signing, the cost of bringing in Falcao would likely far out-weigh the profit generated from Benzema’s departure. At 26 it would be a shame to see Benzema depart the Bernabeu just yet. The hope is that Ancelotti can convince Perez that it is the Frenchman and not Falcao who is best placed to partner with James and the lead the Madrid line next season. 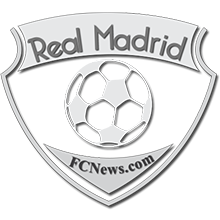 ← Previous Story Is Toni Kroos the best Signing of this year? Next Story → Who Should be Between the Posts for Real Madrid this Season?